The 2019 European Tour will be the 48th season of golf tournaments since the European Tour officially began in 1972 and the 11th edition of the Race to Dubai. As announced in 2017, the US PGA Championship was moved from August to May, starting in 2019. The PGA of America cited the addition of golf to the Summer Olympics, as well as cooler weather enabling a wider array of options for host courses, as reasoning for the change. It was also believed that the PGA Tour wished to re-align its season so that it's FedEx Cup Playoffs would not have to compete with the start of the American football season in late-August. Consequently, the European Tour moved the flagship event, the BMW PGA Championship, from the congested May date to late September, four weeks after the end of the 2019 PGA Tour season. It is hoped the date will attract more top names. From January 1, 2019 onwards, tournaments followed the new rules released by the USGA and the R&A which were designed to speed up the pace of play. The most noticeable changes included golfers being able to putt on the green with the flag remaining in, and drops being made from knee rather than shoulder height. The number of Race to Dubai points available in the last three events of the season has been increased, and the field size reduced. The aim is to make more players still have a chance of winning the Race to Dubai entering the final events. In additional, although the prize money has not been increased, the bonus pool of US$5m will now be split between the top five players rather than the top ten. The money saved from restricting field sizes will be used solely to increase the first prizes, which means that the tournaments will not have the standard prize fund distribution, and the DP World Tour Championship, Dubai will have the largest tournament first prize in golf of US$3m. The following table lists official events for 2018–19. The following team event appears on the schedule, but does not carry official money. 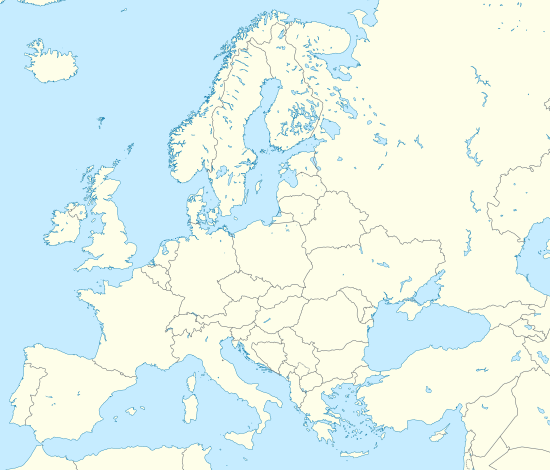 Location of official tournaments of the 2019 European Tour in Europe. 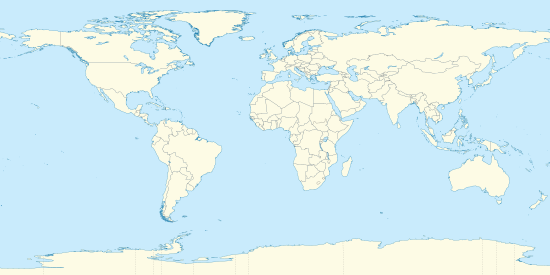 Location of official tournaments of the 2019 European Tour outside of Europe. Note: Tiger Woods, Dustin Johnson and Rory McIlroy are not currently European Tour members. ^ Harig, Bob (August 10, 2017). "PGA Championship to move from August date to May in 2019". ESPN. Retrieved August 12, 2017. ^ Shedloski, Dave (August 7, 2017). "The PGA Championship is moving to May and players are on board". Golf Digest. Retrieved August 8, 2017. ^ "P.G.A. Championship Will Move from August to May in 2019". The New York Times. Reuters. August 8, 2017. ISSN 0362-4331. Retrieved August 9, 2017. ^ Herrington, Ryan (August 7, 2017). "The PGA Championship will be moving to May, sources say". Golf Digest. Retrieved August 9, 2017. ^ Gray, Will. "Lots of change to 2019 European Tour schedule". golfchannel.com. Retrieved 30 October 2018. ^ Herrington, Ryan (December 3, 2018). "Nine changes in the new Rules of Golf you absolutely need to know for 2019". Golf Digest. Retrieved February 4, 2019. ^ "End of season changes". European Tour. 12 February 2019. Retrieved 26 February 2019. ^ "2019 European Tour Schedule". PGA European Tour. Retrieved 29 October 2018. ^ "Race To Dubai Rankings". European Tour. Retrieved 27 January 2019. This golf-related article is a stub. You can help Wikipedia by expanding it.